Robert Engelman joined the Worldwatch Institute, a globally focused environmental research organization based in Washington, D.C., in 2007 as Vice President for Programs and was named President in 2011. Prior to joining Worldwatch, Engelman was Vice President for Research at Population Action International, a policy research and advocacy group in Washington, and directed its program on population and the environment. He has written extensively about population’s connections to environmental change, economic growth, and civil conflict. 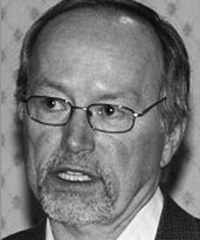 A former newspaper reporter specializing in science and the environment, Engelman was Founding Secretary of the Society of Environmental Journalists in 1990. Engelman’s 2008 book, More: Population, Nature, and What Women Want, explores the history and demographic importance of women’s reproductive autonomy; it was awarded the Population Institute’s 2008 Media Award for Individual Reporting.